Rockville Hills Park encompasses over 600 acres of grasslands and oak woodlands. Hikers, mountain bikers, and families enjoy native trees and plants, rock formations and more than 30 miles of tracks, trails, and picnic areas in this beautiful area. The rich, biological and diverse habitats provide shelter to a variety of wildlife that make the park their home. Rockville Hills is open year-round from sunrise to sunset. Passes into the park can be purchased at both entrances. You must have a valid pass and your personal identification with you, all times, while you are visiting the Park. Park Rangers have the authority to issue citations to visitors without a valid pass and ID. All fees collected are used to support the management of Rockville Hills Regional Park. Dogs are permitted in Rockville Hills Regional Park and require a separate entrance fee. Dogs must be on-leash at all times and must stay on the trails. You must pick-up after your dog. Trail maps are available at the park entrance. 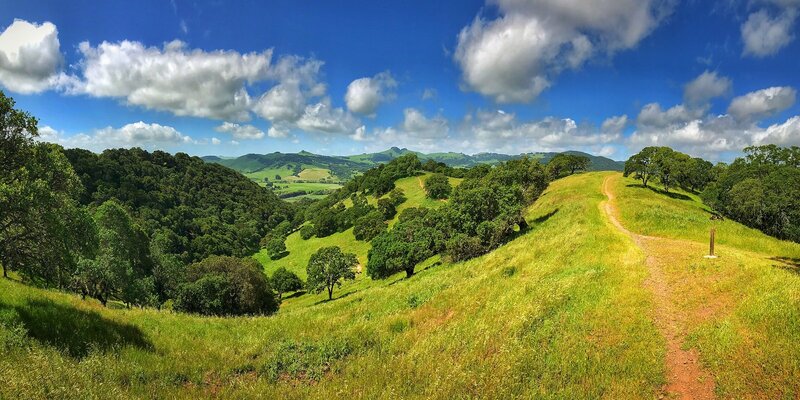 For information on Rockville Hills Regional Park, contact the park rangers at 707-428-7614. 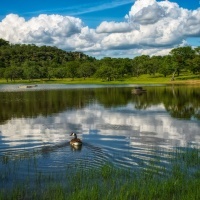 Encompassing over 600 acres of grasslands and oak woodlands, Fairfield's Rockville Hills Regional Park has won over the hearts of countless families, hikers, mountain bikers, photographers, and bird watchers over the years.